Pain is invariably around whenever a body is suffering from diseases, which can be of multiple types including fibromyalgia, stomach ulcer, osteoarthritis, chronic arthritis, diabetic neuropathy, and cancer. Even during and after the therapy, pain constitutes a major part of the procedure that the subject has to bear but with technological advancements, it has become possible to considerably reduce the suffering and manage the pain via a variety of physiological mechanism, targeting the nociceptors for example. 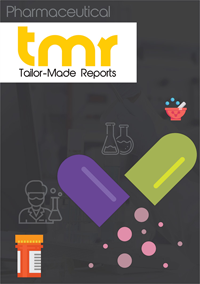 As the investments on robust infrastructure escalates across various emerging and developed countries, and awareness regarding the availability of alternatives increase, the demand in the global pain management therapeutics market is projected to increment at a healthy CAGR during the forecast period of 2017 to 2025. Currently, the developed regions of North America and Europe serve the maximum demand in the pain management therapeutics market, although highly populated emerging economies in Asia Pacific such as India and China are expected to turn into a profitable market towards the end of the forecast period. In the current scenario, the global pain management therapeutics market is highly competitive, with the leading players constantly striving to come up with new products that are more efficient and hence gives them an edge over their competitors. In the current scenario, Purdue Pharma LP and Pfizer lead the market with nearly half the global shares, although the likes of Depomed Inc. and AstraZeneca Plc gaining ground. There is a strong presence of conventional medicines for pain management, which will keep the competitive landscape saturated throughout the forecast period. In the near future, a number of medium and small generic drugs manufacturers are expected to have a foray into pain management therapeutics market too, which will further intensity the tussle for the pole position. Pain management therapeutics can be categorized into antidepressants, anticonvulsants, opioids, anesthetics, antimigraine agents, non-steroidal anti-inflammatory drugs (NSAIDS), and non-narcotic analgesics. Various drugs are used for the management of different kinds of pain, such as fibromyalgia, neuropathic pain, arthritic pain, chronic back pain, post-operative pain, migraine, and cancer-related pain. A common trend that has been observed among patients is the consumption of over-the-counter (OTC) drugs rather than prescription drugs. The growing prevalence of chronic diseases such as diabetes and cancer has been single-handedly driving the demand for pain management therapeutics and the number of people suffering from this kind of pain has been surging at a substantial rate. In addition to this, a massive geriatric population susceptible to arthritis, nerve damage, neuropathy, and joint pain is also boosting the market for pain management therapeutics. Supplementing market growth are favorable regulatory scenarios in many developed countries around the world. However, as more and more patients opt for generic pain management drugs, the branded segment has been suffering a major setback. Moreover, the patent expiries of a number of blockbuster drugs will have a significant impact on the overall market for pain management therapeutics. Despite the fact that leading brands are nearing a point of saturation, the pain management therapeutics market possesses strong potential for growth, particularly for smaller players. For instance, looking to expand its footprint in the global market as well as strengthen its U.S. pharmaceutical unit, Ireland-based Endo International plc acquired Auxilium Pharmaceuticals in 2015. The company also launched the BELBUCA Bucccal Film in 2016, which is used for the management of chronic pain. Purdue Pharma, headquartered in Connecticut, U.S., ventured into a patent agreement with Acura Pharmaceuticals, Inc. and Egalet Corporation in 2016 for the development and sales of opioid pain management medicines. Geographically, the global market for pain management therapeutics comprises North America, Europe, Latin America, Asia Pacific, and the Middle East and Africa. North America and Europe hold the largest share in the overall market and are slated to continue their dominance throughout the forecast period. The rising consumption of advanced pain management drugs and the availability of well-established and sophisticated healthcare infrastructure are the key factors driving the North America and Europe pain management therapeutics market. Asia Pacific is an immensely lucrative region and a number of players are looking to expand their operations in the many emerging countries in the region. This can be attributed to strong economic growth in nations such as China, India, Malaysia, and Japan, rising investments in the healthcare industry in these countries, and the increasing affordability of the population. There are a host of generic as well as branded drug manufacturers in the global pain management therapeutics market. These include GlaxoSmithKline plc, Novartis AG, Johnson & Johnson, Abbott Laboratories, AstraZeneca, Teva Pharmaceutical Industries Limited, Merck & Co., Inc., Purdue Pharma L.P., Endo Pharmaceuticals, Inc., Mallinckrodt Pharmaceuticals, Depomed, Inc., and Pfizer, Inc. Although companies producing branded pain management therapeutics have a strong foothold in the market, the market is actually dominated by generic drug manufacturers, giving small- and medium-scale players immense scope for growth.